Cookies are small text files sent to your web browser by a website you visit to make a user’s experience more efficient. A cookie file is stored in your web browser and allows the Service or a third-party to recognize you and make your next visit easier and the Service more useful to you. Necessary cookies: enable the basic, proper functioning of our websites; these are essential. Preference cookies: allow sites to remember your location and language preference. Statistics cookies: collect anonymous information on how visitors use the sites to help us improve your experience. 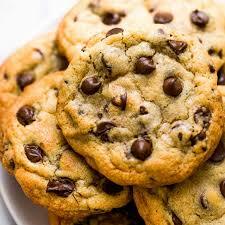 Marketing cookies: track visitors across websites and facilitate the display of relevant online advertising. When you use and access the Service, we may place a number of cookies files on your web browser. Analytics cookies. We may use analytics cookies to track information how the Service is used so that we can make improvements. We may also use analytics cookies to test new advertisements, pages, features, or new functionality of the Service to see how our users react to them.